This is the first thing anyone ever asks me when I leave the state. 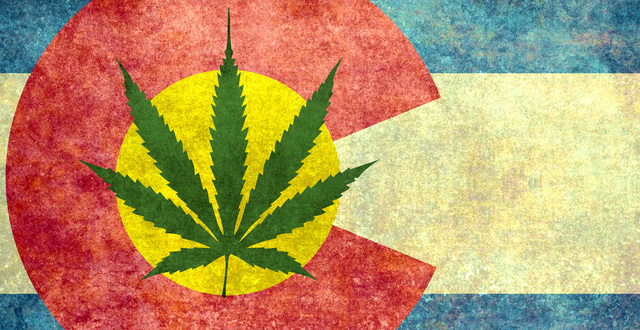 No one wants to know about anything in Colorado except the recreational marijuana. Prior to the passage of Amendment 64 that question was “oh you’re from Colorado, do you guys like ski and snowboard every day?” (only the really lucky among us). Since most of my readers are from outside of Colorado, allow me to answer the above question for you. Marijuana has been a part of life in Colorado as far back as I was aware. Growing up in Boulder, Colorado, it was more uncommon to find someone who didn’t smoke than to find someone who did. Now Boulder is “nine square miles surrounded by reality,” as the saying goes, but I’ve lived up and down the front range and now in the mountains, and this attitude isn’t limited to Boulder. When someone in Colorado asks you if you smoke, they’re usually not talking about cigarettes. Recreational Marijuana has changed little in Colorado. It’s unobtrusive and it’s convenient. It’s expensive. It matters more to the tourists than it does to the locals. Marijuana tourism is a huge industry here in Colorado, and the shops have only been open for a year. Tourists are allowed to purchase marijuana products, but are restricted to a quarter of an ounce. Let me reassure you: if you are the type of person who is traveling to Colorado to buy your weed, a quarter of an ounce will be plenty. Neither of these things present a significant challenge if you want to check out Colorado’s pot shops while you are on vacation in Vail. Can international travelers buy marijuana in Colorado? Yes. You must be over 21 with valid ID. How do I purchase marijuana in Colorado? It’s honestly nothing intimidating— about the same as purchasing beer at a liquor store. Upon entering the store, you will be required to show a valid driver’s license to prove you are over the age of 21. Recreational marijuana sales are limited to those above the age of 21. Those underage cannot even enter the stores. Most stores won’t take down your information or put you into any sort of database, so you don’t have to worry about being tracked or entrapped or whatever else your paranoid mind will can come up with after you’ve indulged in a joint or two. I have not heard of any stores in the Vail Valley which take permanent customer records. After your ID is verified, you may be asked to wait in a lobby if the store is busy, or you may be shown into the bud room. If you have to wait, the dispensary will usually have menus and educational material available for your perusal. I would suggest reading the edible education card, lest you end up like hapless NYT columnist Maureen Dowd. Once you are allowed into the bud room, you will wait in line and eventually talk to a budtender at the counter. This person can educate you on the wide variety of marijuana products available. This selection can be a little overwhelming for some people. As a tourist, stay away from some of the more gimmicky products, such as lotions and bath soaks, as these can be both gimmicky and expensive. Pre-rolled joints and vaporizer pens are safe, simple choices. Make sure to factor a 30 percent tax onto any prices which are told to you— this hefty tax rate is used to support Colorado schools and other public works. It is a huge part of how Amendment 64 got passed and is a necessary evil at this point. Where can I buy legal weed in Vail? The town of Vail has no recreational marijuana shops as of January 2015. However, there are several only five minutes down the road in nearby Eagle-Vail. Many tourists charter taxis over to the shops. Some shops, such as Native Roots in Eagle-Vail, have partnered directly with taxi companies to make things even easier. The Eagle-Vail dispensaries are the closest to Vail Mountain, but there are many other options throughout the Vail Valley, including in Eagle and Edwards. 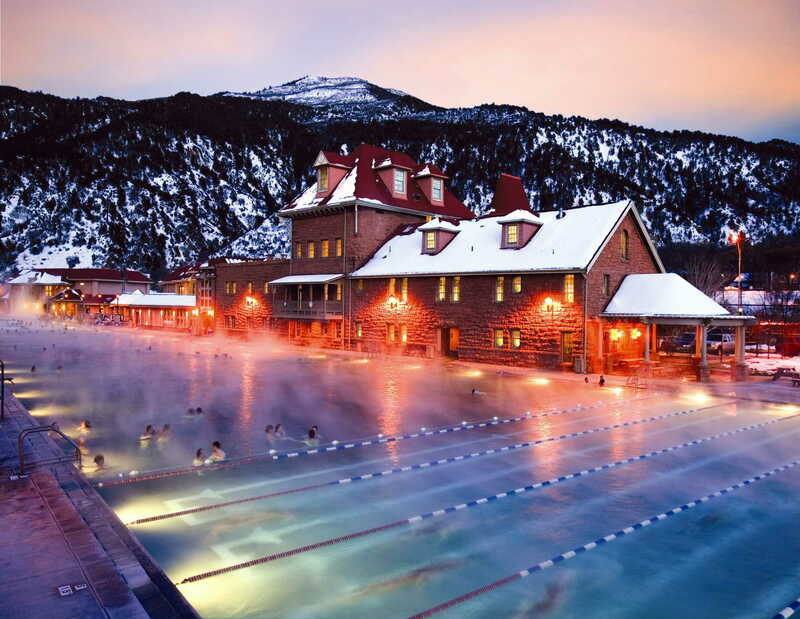 There are also a few recreational pot shops in Glenwood Springs, if you fancy a soak in the world’s largest hot springs pool after a few days skiing on the mountain has worn out your legs. Weedmaps.com provides an interactive, searchable map and database of the shops in the Vail Valley area, as well as elsewhere around CO.
How do I pay for recreational marijuana? Cash, credit or debit are accepted at most shops. If a shop is cash-only they will always provide an ATM. You should not need to worry about this aspect. Can I make a late-night run for pot? No. Colorado law requires all transactions at these recreational marijuana shops to be closed before 7:00 p.m. This means that you should arrive no later than 6:30— the shop cannot legally sell you anything after 7:00 p.m., even if you are waiting in line. What is the price of recreational marijuana in Colorado? You can expect to pay 10-15 dollars for a joint of good quality bud, with occasional discounts or specials available. 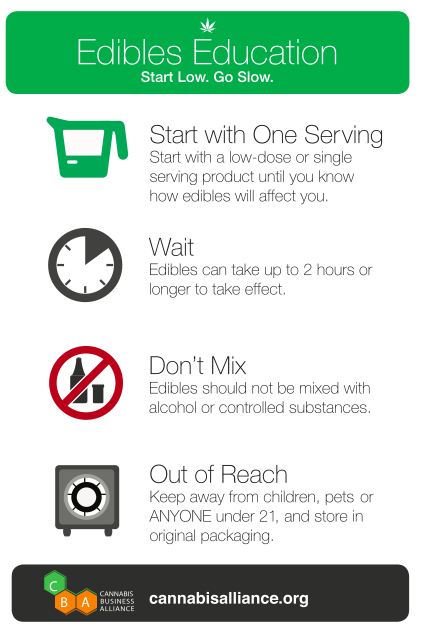 Edibles will generally run between 10 and 35 dollars, depending on the concentration of THC. For a casual user, a 10mg dose of THC is usually more than enough to get quite stoned. The strongest edible legally allowed in Colorado is a 100 mg package. Be sure to examine the packaging or ask the budtender about the strength of the edible you are purchasing. Marijuana by weight tends to cost around $20 a gram and $50-70 for an eighth of an ounce. The price you may have paid in high school, if you were buying illegally. Marijuana in the Vail Valley is extra pricey, like almost everything else in the area. Side effect of so many affluent tourists coming through. Prices are somewhat lower in other areas of the state. If you are from Colorado many places will offer a local’s discount or an exemption on sales tax, so be sure to ask about that. You can peruse the menu of the Eagle Vail Native Roots dispensary online to get a more thorough picture of product pricing. Can I fire up a joint on the chairlift? Legally: no. Practically: yes. While marijuana consumption is technically illegal on ski resort property, no one is going to bother you about it unless you are being a jackass. Be considerate of other people and the fact that a ski resort is a family destination, and you should be fine. Where can I smoke weed in Vail? Technically, if you are a tourist staying in a hotel, nowhere. Smoking marijuana in public is still illegal under Colorado law, and there are no cafes or bars which allow the activity yet. (One cafe in Nederland does allow indoor smoking but Nederland is a town full of old hippies and I’m pretty sure local authorities are kind of just looking the other way on it). But, as I said in the previous section: if you are reasonably discreet and not causing a public nuisance, you generally will not be bothered. Vail wants your money too much to make harassing you a priority. In 2014 Vail police handed out only 19 citations for public consumption of marijuana, roughly one point five a month. So again, let me emphasize: be considerate and discreet, and you should be fine. If you know a local, you can smoke in their place of residence. Marijuana is part of the ski town culture in a lot of ways, so although Vail does not like to emphasize it, it is there and it is accessible. (As are many other substances rich people often indulge in, but that’s a post for another day). Can I take recreational marijuana home with me? If you are flying back home, then no. If you try, you will get caught. Period. If you drove to Colorado and plan on driving back to your home state, then you could try and risk it. Bringing recreational pot outside of Colorado is illegal, but as you can imagine it does happen. Cops and state patrol in neighboring states are quite aware of marijuana bleeding out of Colorado, so be extra careful to properly seal your products and follow all rules of the road. It’s not the smartest idea, but if you think it’s worth the risk you’re welcome to try. Just don’t say I told you to. If you have any other questions you’d like answered, leave them in the comments. I’ll respond. NEBRASKA please!!!!!! We have a lot of farm land and people with cancer….. 🙁 help us help others! They do, and you chase it with a joint. Extremely enlightening and straight to the point. I shall be sharing this with my friends and Colorado will have an influx of people from Burnie in Tasmania emigrating there. Don’t worry, there’s only about 18,000 of us. I would say 80% smoke but the laws are archaic down here. It’s treated like heroin. Cannabis still, unfortunately & ignorantly, remain underground. This has been the best, most informative read that I’ve had in a while. Thank you for sharing it in such an objective manner. Nice information I never touch the stuff. I never did drugs. But I was just curious about what was going on in Colorado. Thanks for the like. Nevada just legalized recreational pot, so this is pretty helpful. Thanks. Great cross section of people in the comments! Thank you for the kindness of this information, I just wish the hypocrites (Republican politicians) here in Kentucky had the decency to get a grip on the real world but I do not see them ever allowing the people to vote on it here. What an experience…. Epic….. So they accept immigrants haha! Great post. Been traveling the world for the past year but home is Portland, Oregon! LOL, love the post and how detailed you got. I think my best part was your P.S. at the end… just hopefully they are not hiking after they smoked (or worse, smoking while hiking)?? Cute. MJ is big business in Colorado… For better or worse. Lol. Yeah I’m certain it’s your best post. Maybe I can try to repost it for the Seattleites. I suppose if one enjoys poisoning their body and inducing self indulgent carelessness that this is a useful post. Do it at home. Do it away from any possible endangerment of others. “Recreational use” of a any drug is a cope out from life and lessens our creative capacity to take responsibility for ourselves and others. Laugh the pot laugh all you want, drugs are not a laughing matter. They destroy lives and are a major factor in planetary destruction. I grew up in the drug blood bath of the sixties, and I mean grew up. I don’t touch the stuff anymore, just like I’d never touch a whore. I straightened myself out and have a most love filled and happy existence that is far better than any of the faux drug induced states promoted and sold in a pot shop. Youth beware. Informative and interesting! Answered a lot of questions I didn’t know I had! I really liked marijuana in school in the ’60s. It was $10 an ounce (tho I never measured what was in the baggie, so who knows?). It was full of twigs and seeds that sometimes fell out of the joint and burned holes in my shirt. Now it’s been legal in Washington for three years, and I have yet to set foot in a store. I’m afraid I’ll still like it. Very interesting. I live in the UK now and have been to Amsterdam on three occasions. I thought that place was great, especially the cafes where it is coffee, tea or hash. But it seems Colorado may be the American Amsterdam. Still, it’s better that Colorado be famous for this rather than infamous for tragedies like Columbine. Thanks for connecting. Following now. hola, sabes si siguen las mismas leyes o ya hubo algún cambio? voy a ir a Vail a pasar la siguiente navidad y quisiera echarme un porrito con la mejor vista hacia las montañas. Saludos! Las leyes no han cambiado. no van a cambiar en la ano proximo. Usted prodrá fumar sin problemas en 2016 y 2017. My Spanish is a bit rusty, hope that’s at least somewhat correct. The laws shouldn’t change in the next year. Enjoy your trip!